Even if you’re new to writing, you’ve probably already come across plenty of hints and tips for crafting and improving your scenes. But a lot of what you come across is written in a way that assumes you already know exactly what a scene is. What if you don’t?! A written scene shows something in the moment. Its moment. When all the senses are sufficiently alluded to that the reader feels they are in it as it is happening. As if they were watching the stage or screen play of your story or sometimes better still, acting one of the parts. It’s some time since I met with my secret agent – actually author, editor and translator, Jan who is kindly reviewing my first draft and providing feedback to tighten up my writing. I’d sent her a chunk of about 10,000 words for comments and we met a week or so later. I think she was still warm from cycling and suggested sitting in the quaint courtyard. I wasn’t feeling confident enough to protest despite the bone-numbing damp chill. As her pen flourished over my work, the repeating theme was ‘needs to be a scene’. That’s something I thought I had been doing but there was that phase when I tried writing to a word count for too long and there are were patches of rambling text that didn’t hold together. Anyway, knowing ‘scene’ might mean different things to different people I asked her to clarify and was surprised as her years and years of just ‘knowing’, left her stammering for the right words. We quickly reached a mutual understanding but in that deliciously perfectionist way of wanting to pin it down, to drive my writing from that point, I thought I’d read up on it a bit and define it for myself. I pulled out my various books on writing and called up all the big writing blogs and started searching. Lots of heuristic suggestions about scenes, some nicely specific points but overall, a surprising amount of vagueness! I’ve reached the point where I’ve pinned down some key factors but am also developing that ‘knowing’ that is not quite tangible – some thoughts conscious, some not – Imbued with heuristic subjectivity. I get it now, I think, but I’m not sure I could yet teach someone else. In essence a scene for me is when you show something in the moment, its moment, when all the senses are sufficiently alluded to that the reader feels they are in it as it is happening. As if they were watching the stage or screen play of your story or sometimes better still, acting one of the parts. To achieve this you therefore need to consider how you show but not tell.. If the story needs pace you might want to write it in the present moment. You’ll need to avoid the passive use of verbs. If more than one person is involved you probably need some dialogue to bring it alive. Context such as the time of day, weather, place all help build the picture in the reader’s eye. They don’t need everything – frankly too much detail gets boring but give enough to push their imagination forward to create a picture. By the time coffee arrived, I was already frozen sat in the gloomy courtyard. Jan’s pen flourished across the page for the fourth or fifth time. Like a naughty schoolgirl, I pulled my cardigan tighter, trying to disappear inside it. Jan still had a healthy glow from arriving on her bike, short white hair swept back off her pretty face. She grabbed some shortbread as her eyes scanned over words and her previous pencil marks. “Ah hmm. Need a scene again!” A critical inclination of her head. I watched her face for other clues. Frowning. “Great.” As a smile released those eyebrows. She ticked a paragraph and nodded ticking another. “Aha, yes.” She laughed and golden crumbs flew out of her mouth. I relaxed back into my seat a bit, cradling my coffee, warming my fingers. She flicked the projected shortbread crumbs off the page and set the table wobbling on it’s spindly legs. We both grabbed at serviettes to mop up coffee. My coffee was still steaming but I tried a slurp to ease the silence. She looked up. “It’s ok. Honestly.” She smiled over her cup. My bottom lip might have wavered as I tried to return the smile. “It’s always like this. This is really very good.” Jabbing at my pages with her pen. She looked back down to the words as I breathed an inward sigh of relief. Too soon. I looked at the mounting revisions and covering my uncertainty, asked. She looked at me and then away, blushing. There are of course, other factors you might need to consider depending on the type of scene you are writing. The most helpful references I have found so far are. Do you have any favourites? 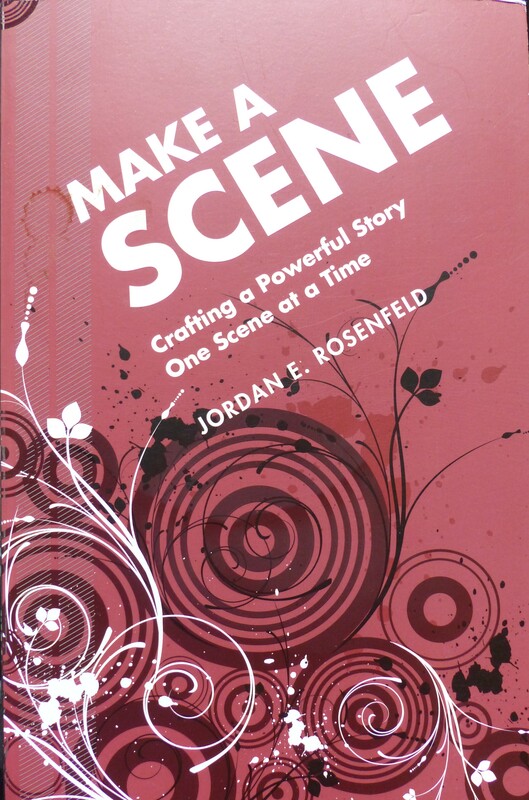 Make a Scene – Crafting a Powerful Story One Scene at a Time by Jordan E. Rosenfelt . This book is largely intended for fiction writers but the no-nonsence style with clear chapters, detailed index and table of contents, is a useful resource to memoir writers too. It is very readable cover to cover but equally useful as a reference to dip in and out of. 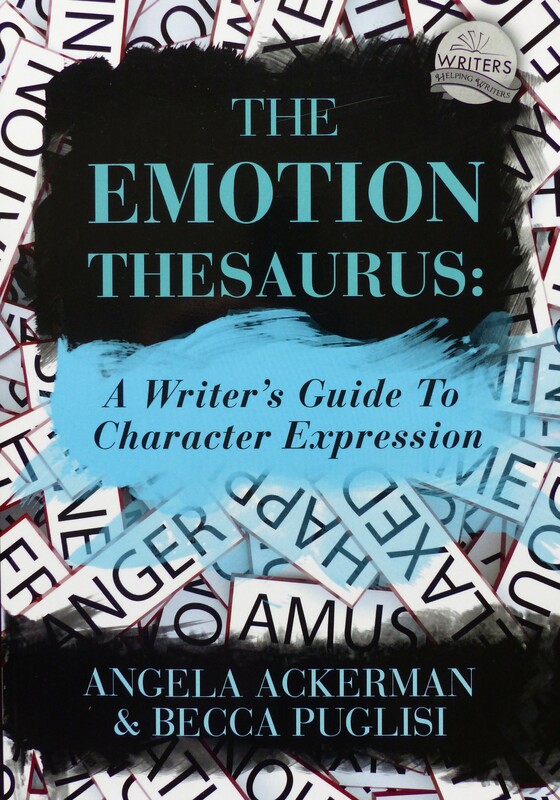 The Emotion Thesaurus: A Writer’s Guide To Character Expression by Angela Ackerman & Becca Puglisi. A great reference of the myriad of ways you can demonstrate 75 different emotions in the people in your story, whether fictional or not. Glad to find this blog. I have a “nobody memoir” to write. At this point, it’s only lots of notes. Welcome to the struggle! I’m encouraging Memoir Reviews and Irene Waters has just done a review of a ‘nobody memoir’ if that is of interest. Keep in touch. Other memoirists willing to join a conversation seem few and far between compared to those pesky fictioneers! Memoir reviews and ‘nobody memoirs’ is what drew me to your site. Looking forward to this very much. Interesting; you know it when you see it but can’t define it. Like the elephant or something. Taking Anne’s point I’m not sure. Say someone joined you at the table and Jan left shortly after. Two scenes with a fudged link. You can’t be didactic which is why scene is incapable of a neat definition, because there aren’t neat boundaries to scenes. Similarly. If you jumped time, though still the same setting, you and Jan over now cold coffee, that would be two scenes but if you stood up and walked away still talking and still in the same ‘moment’ that would continue the current scene. Lovely post. I know what you mean and then again, someone once said to me you need to think of it in terms of a film director finding his start point with “And action!” and then a clean break where he could shout “Cut!” even if the next scene is a continuation of the context i.e. “Set”. But as you say, there aren’t neat boundaries because novels / memoirs are not scripts. And the term has probably been borrowed from script writing to help students of the craft envisage tighter writing segments that move the story on. Fab post, Lisa, I think you SHOW what the scene is brilliantly in your extract. Very interesting – I think I tend to write scenically, but not sure I’d know how to define it. Though one element that strikes me about scenes is that they have a beginning and an end, rather than flowing into each other, often with a line break between them. I wonder if others would agree? Thank you Anne. It’s the first thing I examine if I feel I’m writing something boring that shouldn’t be. It has taken me a while to get to grips with though.. being more used to writing policies and procedures!